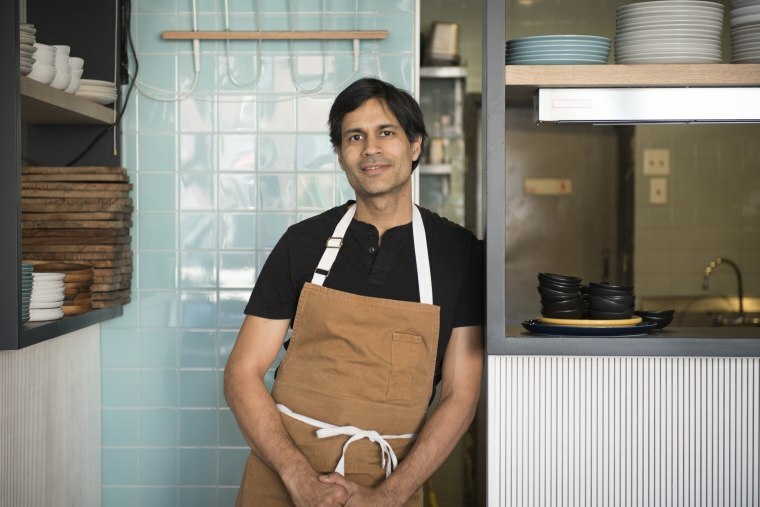 Chef Akhtar Nawab's Alta Calidad in Brooklyn received a "Bib Gourmand" distinction from the 2018 Michelin Guide. When chef Akhtar Nawab heard his Mexican restaurant in Brooklyn received an honor from the Michelin Guide in November, he didn’t know how to take it. How was it possible that Michelin had chosen Alta Calidad to receive a “Bib Gourmand” — a distinction given to high-quality restaurants where a diner can order two entrees and a drink or dessert for under $40 — while The New York Times had yet to publish a review, Nawab remembers thinking. But after his business partner, Michael Wetherbee, reassured him that Alta Calidad was part of the list, Nawab couldn’t help but be happy. The honor is the latest for Nawab, an Indian-American chef raised in Kentucky who started cooking Mexican cuisine less than a decade ago. Growing up in a family where his father, grandfather, brother, aunt, and uncles were all doctors, Nawab said his decision to become a chef caused some alarm. But after giving college a shot for a year, he realized it wasn’t the place for him and started working in a local family restaurant, where he found a passion for cooking. Nawab graduated from the California Culinary Academy in San Francisco in 1996 and worked in several Bay Area kitchens, including for James Beard award-nominated chef Loretta Keller at the now-closed Bizou. His time working for Keller was formative, Nawab said. In 1998, Nawab moved to New York to work under at the Gramercy Tavern. In 2008, he opened his first restaurant, Elettaria, which served food he describes as “European with a hint of Indian.” But while the restaurant drew praise from The New Yorker and New York Magazine, Nawab closed it in 2009, citing the poor economy. He said the move “destabilized” him. Nawab took a six-month break and spent more time with his daughter. He decided to refocus his life on her, and once he returned to professional kitchens, the kind of food Nawab wanted to serve also changed, he said. He turned down offers to work in kitchens until La Esquina, a Mexican eatery with four locations in New York City inquired. At the time, his experience with cooking Mexican food was minimal, Nawab said. But the restaurant was looking for someone with more business experience rather than experience creating a new menu. It was there that Nawab was able to learn more about the culinary style and realized that it had similarities to his own culture. While Alta Calidad is keeping Nawab busy, the chef also has a number of other food projects, including the fast casual restaurant Choza Taqueria and Indie Fresh, a health-conscious food brand. And in July, Nawab, along with business partner Matt Wagman, opened Fero, a Mediterranean-inspired restaurant, in Birmingham, Alabama. But while Nawab is always looking for the next culinary opportunity, he said he is a family man at heart and makes sure to find time to spend with his daughter. Even his father has turned around on his career.